Transform your career with Deskbright's extensive library of Excel training resources. 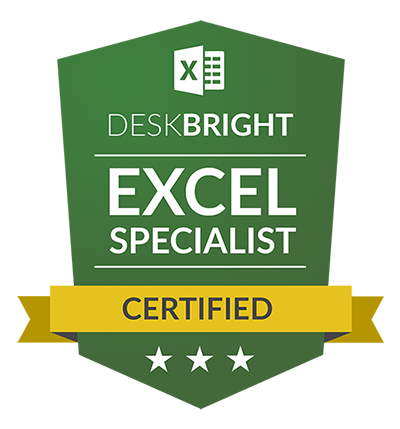 Become a Certified Microsoft Excel Specialist and learn to create beautiful, automated spreadsheets that can do your work for you with Deskbright's most comprehensive Excel course. 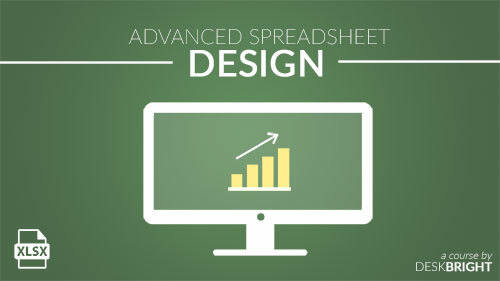 Explore why spreadsheet design matters and craft the perfect financial model — with well-organized outputs, inputs, and assumptions. 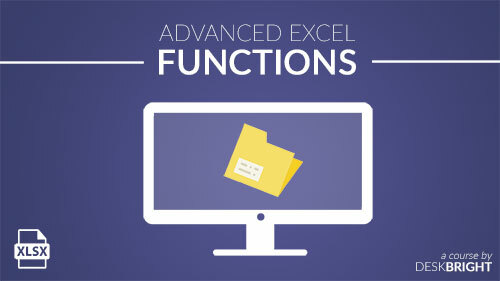 Unlock the power of Excel's most advanced functions, including VLOOKUP, INDEX MATCH, SUMIFS, INDIRECT, and OFFSET. 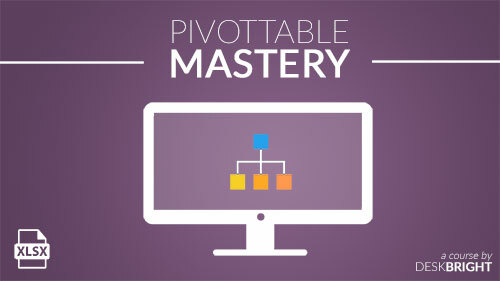 Learn to use PivotTables, one of Excel's most useful analytical tools, through a series of easy-to-follow video lessons and exercises. 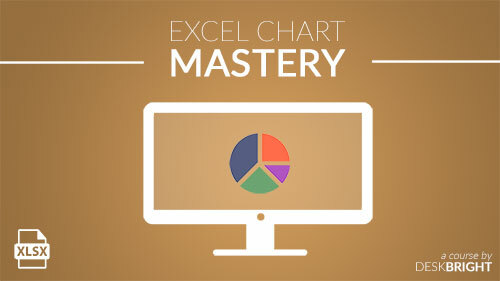 Beautify your spreadsheets with eye-popping charts and graphs that showcase your data in an entirely new way. 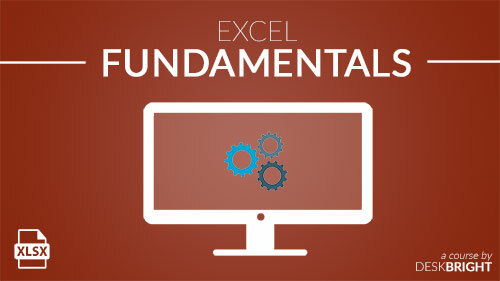 Starting from scratch, build your knowledge of Excel's core functionality from the ground up. No experience required! Due to popular demand, we've compiled the .XLSX exercises from each of our five video courses into a massive downloadable exercise pack. With 30+ exercises designed to mirror real-life business challenges, the Exercise Pack is the perfect way for intermediate to advanced Excel users to practice complex formulas and functions. 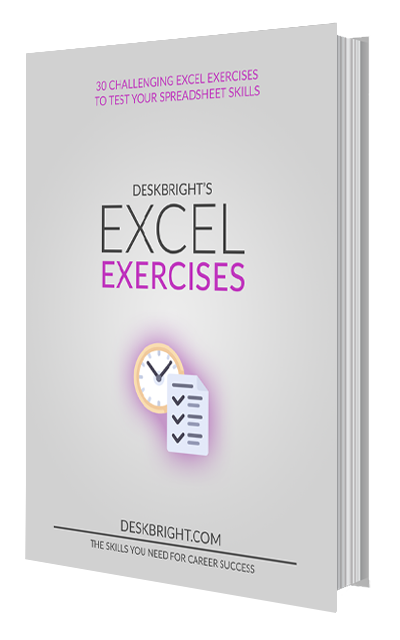 These exercises are also a fantastic way to prepare yourself for a live Excel test. 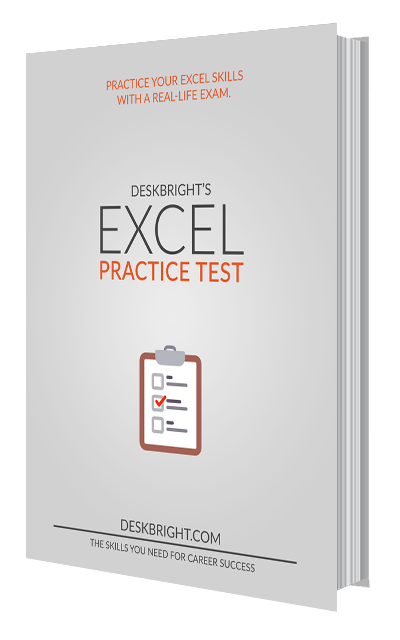 The Excel Practice Test will prepare you for even the most challenging Excel exam. Designed for the spreadsheet user preparing for an Excel skills assessment, it contains fifty expert-level questions that cover all of the most common functions, hotkeys, and challenges seen on Excel tests. Once you've taken this practice test, you’ll feel confident in your ability to ace your interview with flying colors. This is the book that started it all. 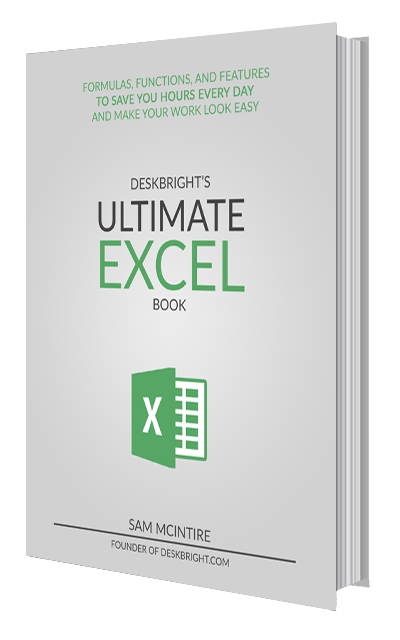 Join Deskbright on a journey from Excel basics through advanced formulas and functions over the course of 40+ high-quality Excel tutorials. The Ultimate Excel Book contains all the information you need to master Excel in convenient .pdf, .epub, and .mobi formats — so you can read on your computer or easily send to a device like your Kindle. A trimmed-down version of the full Ultimate Excel Book that focuses on preparing for an Excel interview. 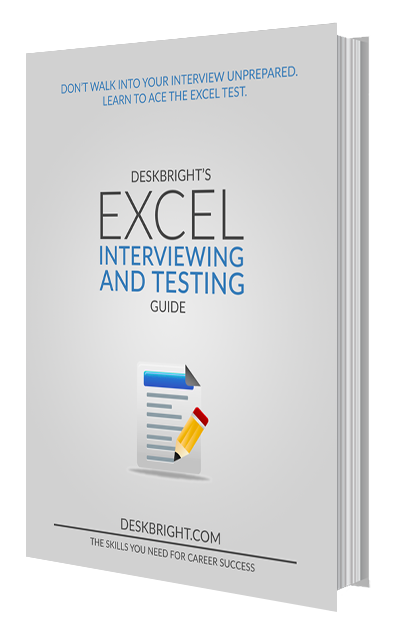 This 100+ page .PDF outlines critical Excel formulas and functions to master before your interview, as well as sample questions to test your Excel skills before the big day.